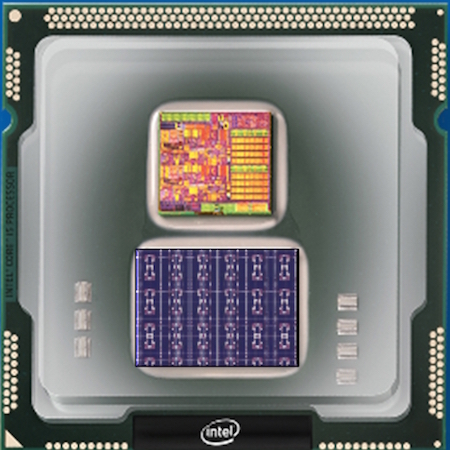 Looking for a self-learning, energy-efficient neuromorphic chip? Intel's research chip codenamed "Loihi" uses 130,000 "neurons" and 130,000,000 "synapses" to mimic the functioning of the human brain. The idea is to help computers self-organize and make decisions based on patterns and associations,” Michael Mayberry, PhD, corporate vice president and managing director of Intel Labs at Intel Corporation, explained in a blog post. He said the chip automatically gets smarter over time and doesn’t need to be trained in the traditional way. He sees applications in areas that would benefit from autonomous operation and continuous learning in an unstructured environment, such as automotive, industrial, and personal-robotics areas. For example, a cybersecurity system could identify a breach or a hack based on an abnormality or difference in data streams. Or the chip could learn a person’s heartbeat reading under various conditions — after jogging, following a meal or before going to bed — to determine a “normal” heartbeat. The system could then continuously monitor incoming heart data to flag patterns that don’t match the “normal” pattern, and could be personalized for any user. “Machine learning models such as deep learning have made tremendous recent advancements by using extensive training datasets to recognize objects and events. However, unless their training sets have specifically accounted for a particular element, situation or circumstance, these machine learning systems do not generalize well,” Mayberry notes. Robert Heinlein saw the need for computers and robots that could learn and adjust their behavior; he described Flexible Frank in his 1956 novel The Door Into Summer. This robot had Thorsen memory tubes to allow it to learn by doing. ...the point is that you can hook a Thorsen tube into a control circuit, direct the machine through an operation by manual control, and the tube will "remember" what was done and can direct the operation without a human supervisor a second time, or any number of times. Other examples of science-fictional computer "brains" includes the Laminated Mouse Brain Computer from Think Blue, Count Two (1962) by Cordwainer Smith, the neuristor from The Moon is a Harsh Mistress (1966) by Heinlein and the artificial brain from The Metal Giants (1926) by Edmond Hamilton.